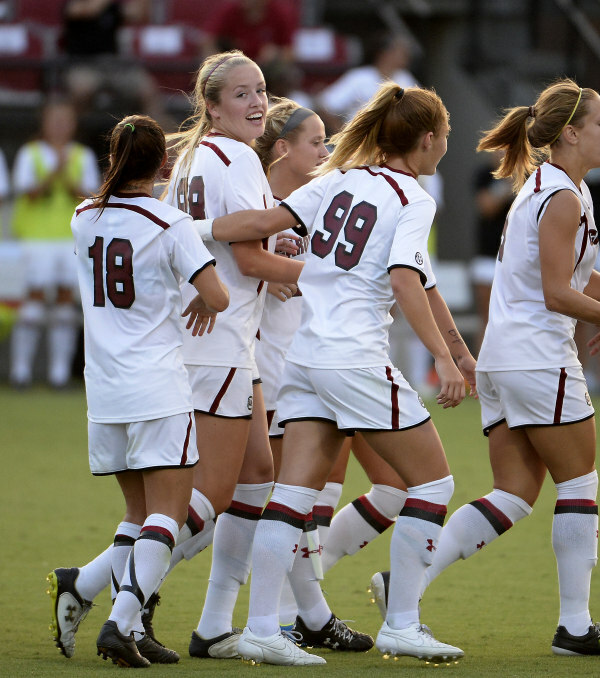 South Carolina sophomore Paige Bendell (Orland Park, Ill.) was called in for her first start when center back Taylor Leach was suspended because of a pair of yellow cards in the team’s previous match. Bendell rose to the occasion against one of the top teams in the country, helping the South Carolina back line blank No. 6 North Carolina, 1-0, on Sunday in Chapel Hill, N.C., to reach the Elite Eight of the NCAA Tournament. This marks South Carolina’s first appearance in the tournament’s quarterfinals. The Gamecocks improved to 14-5-5 and will now face Florida State on Friday in Tallahassee. Elsewhere, Penn State freshman Katy Keen (Zionsville, Ind.) only logged 12 minutes over her past two games, but her time was important in helping the Nittany Lions reach the Elite Eight of the NCAA Tournament. Keen came off the bench and assisted Penn State’s opening goal by Raquel Rodriguez in the 40th minute to take a 1-0 lead against Virginia Tech on Sunday in the third round of the tournament. Penn State went on to a 2-1 victory as Keen posted the second assist of her first collegiate season.